This has been a great week for spotting vintage signs. Events took me to Clement Street and to the Mission, where I spotted these signs. 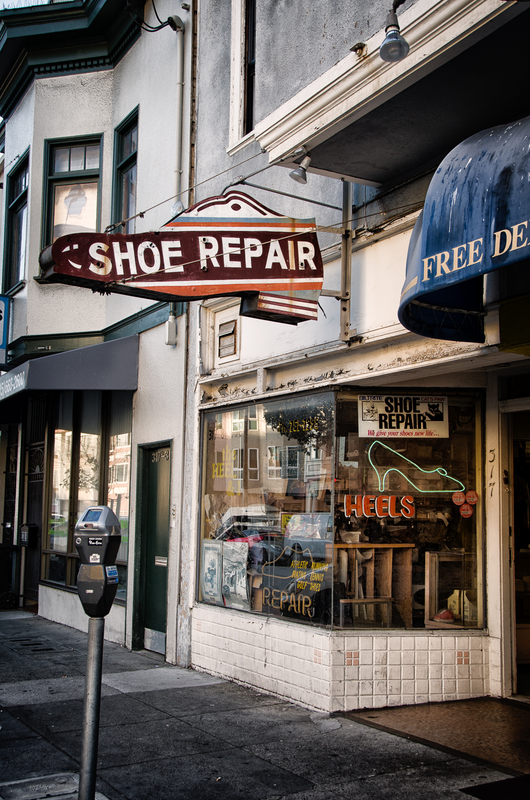 "Shoe Repair" is the Heel & I Shoe Repair near 8th Ave. and Clement Street. 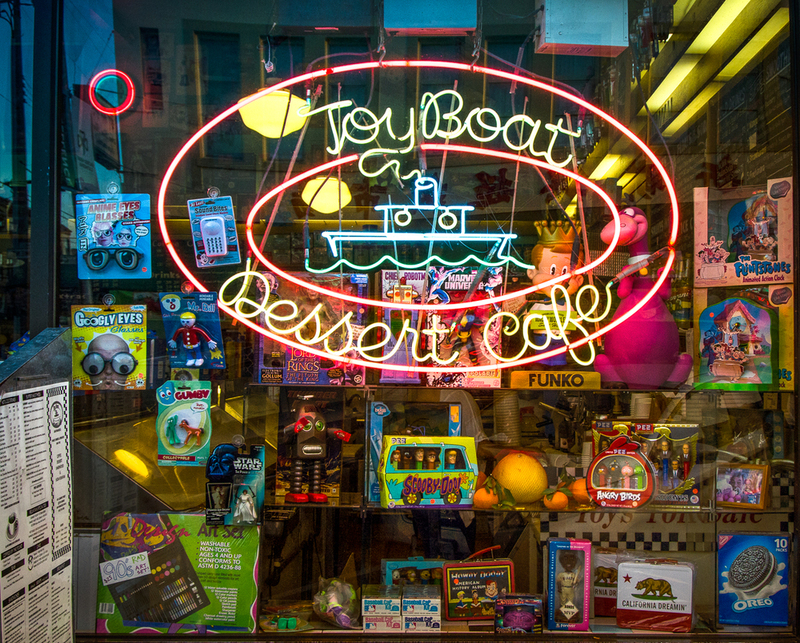 Toy Boat Dessert Cafe on Clement Street features a charming painted sign in addition to the neon sign in the window. The red Coca Cola sign at Whiz Burgers Drive-In at 18th and S. VanNess is a real classic. One of these evenings I should return and capture neon "Whiz Burgers" all lit up. A little this. A little that. Photo musings. Sharing new work. Reflecting on past work. Opening a conversation.